It’s undeniable that photography is powerful. 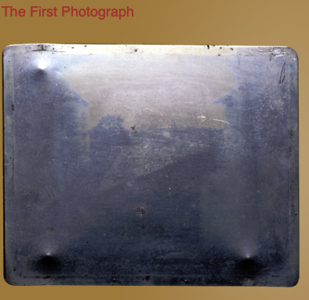 “Painting with light” has captured the imagination since the first photograph was made in 1826, taken by Joseph Nicéphore Niépce in 1826 or 1827. The image depicts the view from an upstairs window at Niépce's estate, Le Gras, in the Burgundy region of France. The University of Texas at Austin has the image on permanent display. Read about it HERE. Photography has evolved and changed, but it’s allure and powers have remained. 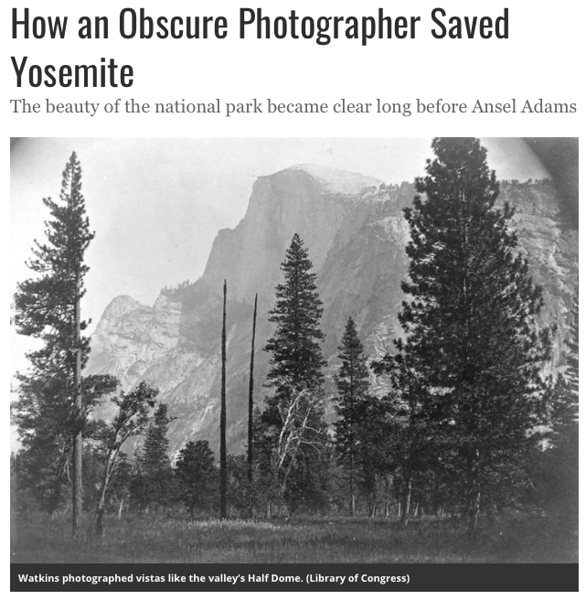 Photography captured the imagination of millions and helped lead to the creation of national parks like Yosemite long before Ansel Adams made it famous. The above photograph was created by Carleton Watkins who began photographing Yosemite in 1861. He carried all of his lenses, tripods, and a dark tent on mules! Read more about photographer Carleton Watkins, courtesy of Smithsonian Magazine, HERE. Robert Capa's Image of D-Day, Normandie Beach. There may be no more powerful example of photography than the work of war photographer, Robert Capa. 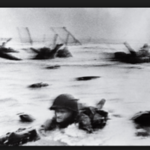 He literally risked it all to capture images of solders landing on Normandy Beach in France to help liberate Europe from the Nazis. Capa later went on to form Magnum photography, one of the greatest photography collaborations ever formed. Read more about Robert Capa and Magnum HERE. The range of photography is astounding. Whereas Capa’s war photos capture the horror and heroics of war, photographers like Michael Kenna (one of my favorites) capture calm, reductionist images of the world around us. 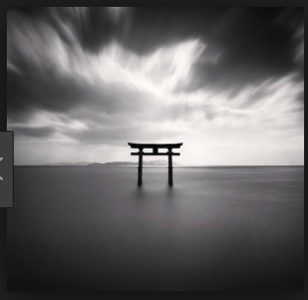 Kenna’s images of Japan are calming and beautiful. I own several of Kenna's books. Kenna was a printer before he was a photographer and his books are gorgeous. I'd encourage you to buy one. Thanks to cell phones with cameras more people take photographs today than ever before. The number of images being created is astonishing. I encourage you to learn about different genres of photography (landscapes, portraits, sports, and commercial to name a few). Sony’s World Photography Awards are a great place to see some of the best photographs made in 2018. There are many other places to look including National Geographic and the Smithsonian Museum of Art. Take the time to learn about how photography works, learn about the “exposure triangle” and how shutter speed, aperture and ISO work together. Study the masters of photography and learn from them. Look up a few of these names (Sebastiao Salgado, Annie Liebovitz, Henri Cartier Bresson, Dorothea Lange, Jimmy Chin). I realize that putting Jimmy Chin (photographer/documentary film maker) in the same sentence as the aforementioned is controversial, however his recent movie "Free Solo" makes him a contemporary worth of exploring and celebrating. There are many other greats out there, but if you are new to photography this will get you started. If you have suggestions for others on this list, email me using the link at the bottom of the page. If you enjoy photography, visit photography museums like the Annenberg Space for Photography in Los Angeles; study the images, ask questions. Finally, if you enjoy great photography, support the artists who create it. Photography is expensive. Cameras, lenses, travel, lighting, insurance, prints and exhibitions all cost money. Although you can download much of it for free (and probably violate copyright laws in the process) it isn’t free to make the images. Support artists, purchase images and magazines, support musuems, galleries and collectives that support artists. 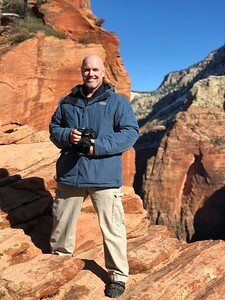 Kevin Gilligan is a landscape, portrait and sports photographer and workshop instructor from L.A.’s South Bay and is a member of the South Bay Artist’s Collective a 501(c)3 non-profit supporting the visual arts community and art in schools. You can learn more about Kevin’s work HERE and learn more about the South Bay Artist’s Collective HERE.